Increase Lean Muscle, Improve Endurance & Strength! Beta Alanine capsules are part of the 501 Bulk Capsule Series, a series that is designed to provide users the encapsulated products in bulk sizes for maximal cost effectiveness. 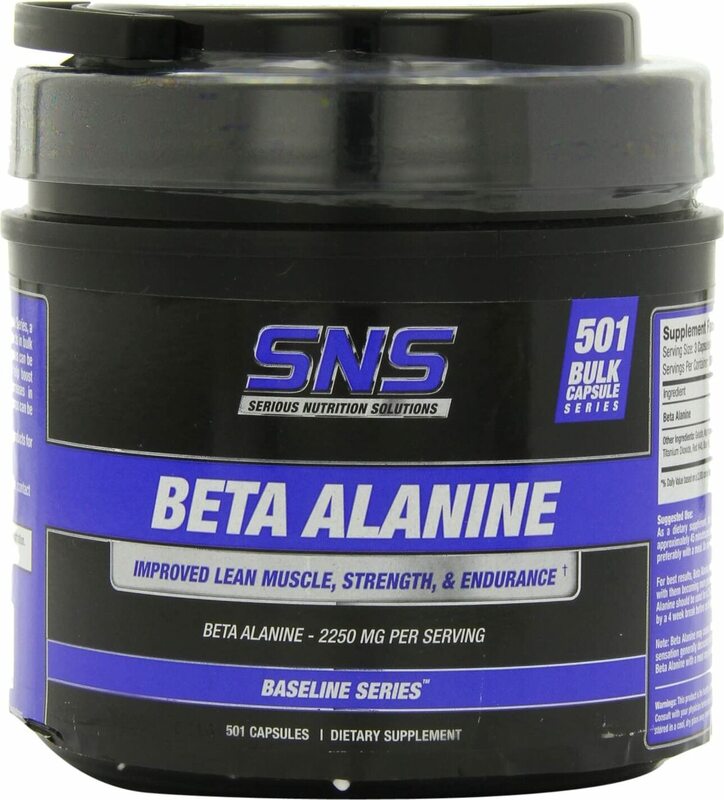 Beta Alanine capsules can be used by weight trainers or endurance athletes to help boost intracellular carnosine levels which in turn may lead to increased endurance, lean muscle, and strength gains. 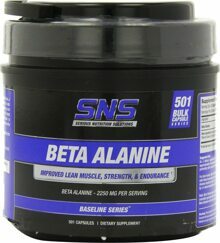 If you answer yes to any of the above questions, Beta Alanine may just be a perfect option for your new training companion. Another important benefit of increased carnosine levels is that carnosine is a powerful precursor in potentiating Nitric Oxide (N.O.). This is because carnosine is the substrate for NOS (Nitric Oxide Synthase) activity, which is the enzyme responsible for generating Nitric Oxide. In layman's terms, this leads to more dramatic vasodilation and "pumps". Immediate Benefits: Many users will notice enhanced vasodilation aka "pumps" within the first couple days of using Beta Alanine.